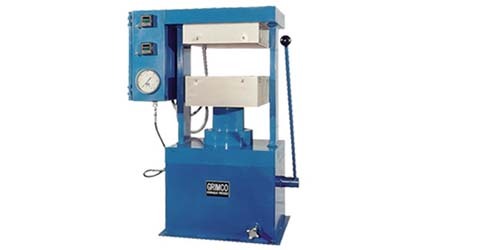 Heavy-duty presses such as these are ideal for testing materials such as rubber, plastic, wood and ceramics. With this type of press, it is possible to adjust the amount of exerted pressure as well as the number of samples produced. Laboratory Press – Grimco Presses Inc.
Companies that manufacture these presses usually offer a handful of options with various ranges of temperature, pressure and platen sizes along with customization in order to meet particular processes. Most laboratory press manufacturers design them with low maintenance requirements, low noise levels and with a minimum use of space. Pharmaceutical, laminating and rubber and plastic molding industries are among those that benefit from laboratory presses. Laboratory presses are also common among R&D work, testing, short runs, limited production, cell manufacturing and lean manufacturing. The main reason that scientists and researchers prefer these types of presses is because of their undeniable precision and their ability to meet rigorous demands. The durability of lab presses also ensures long life in the lab, providing long-lasting and consistent results. Operations within research come with high demands, which is exactly why laboratory presses are an integral part in industrial inquiries. For testing and compacting materials such as rubber, plastic and laminate materials, these heavy-duty machines are extremely important. The design and manufacture of these presses typically includes programmable controls, allowing users to press products more accurately, consistently and according to specific requirements. Though many lab presses are fit for the countertop, there are also many floor standing presses available. Either way, it is not uncommon to find laboratory presses designed with two-columns and four-columns and that press either manually or automatically. With such a vast selection of laboratory presses out in the market, it could become confusing as to which one is best suited for a particular job. An important factor to remember when choosing this particular kind of hydraulic press is how much force is needed for a specific sample? It is also necessary to consider how much space is provided in the lab, how much energy and strength is required to pump the press and whether or not the press will have to move. 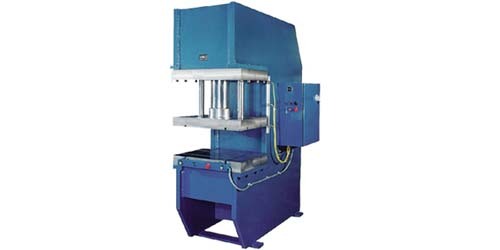 Laboratory Press A laboratory press is a type of compact hydraulic press that is primarily used in research and development laboratories world-wide.